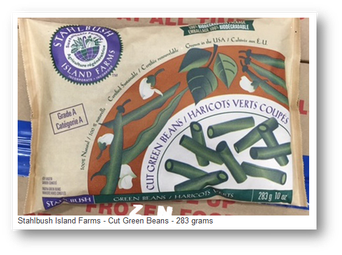 Ottawa, May 16, 2016 - The food recall warning issued on May 9, 2016 has been amended to correctly identify the "Best By" date for one code of the affected Stahlbush Island Farms brand Cut Green Beans. The correction for this product is marked by an asterisk (*) below. Industry is recalling Stahlbush Island Farms brand Cut Green Beans from the marketplace due to possible Listeria monocytogenes contamination. Consumers should not consume the recalled product described below.